Sounds like some people desperately want to take Apple down a peg and are thrilled to find anything at all, no matter how insignificant, to make an issue of. Signal strength is wonderfully vague so this is a great issue to rant about without any facts. If you sit steady in some locations you can see the signal strength go up and down even without touching the phone. As many people are clueless about science and engineering this makes for a great conspiracy theory. I thought 3G and Edge were for data and had nothing to do with calls. I may be wrong. Actually, it turns out Apple’s explanation makes a lot of sense. 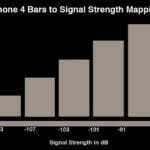 You must (a) consider that there are no standards for how you calculate bar strength and where to assign 4 bars vs 3 bars, and (b) read the detailed analysis of how Apple assigned bar strengths in the link below. It is a fascinating read, came out before Apple’s explanation, but pretty much agrees with it. It is amazing how someone can do such detailed research to get to the bottom of this! I am disappointed though that the knee jerk response of many people seems to be to file a lawsuit rather than get all the facts. 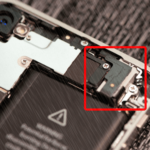 While it would be nice if Apple had offered an bumper in the kit (like the $1 Livestrong armbands cleverly being used now) they didn’t, so if they are that unhappy, just return the phone (Apple says full refund in their letter).